Cybercrime is a problem that likely isn’t going to go away any time soon. That’s why companies are always searching for trained professionals that can mitigate the risk. If you're looking to lead the charge in the war against hackers, the CompTIA Cyber Security Expert Bundle is a solid starting point, and it's on sale for only $59 today. The CompTIA Cyber Security Expert Bundle includes three courses that can help turn virtually anyone into a certified cyber security expert. Through more than 70 hours of comprehensive instruction, students will learn how to analyze a wide range of threats, test systems for vulnerabilities, and provide advice on best practices for risk reduction. What's more, all of this instruction is centered around helping you pass three critical cybersecurity certification exams: CompTIA Advanced Security Practitioner (CASP-003), CompTIA Cyber Security Analyst (CSA+), and CompTIA PTO-001—setting you up to impress when you sit for your first interview. Each course is delivered online so you can connect from anywhere 24/7, and you’ll enjoy lifetime access so you can finish them as quickly as you like. It’s an ideal solution for anyone who wants to train for a new career but maybe doesn’t have the time to drop everything and head back to school full-time. 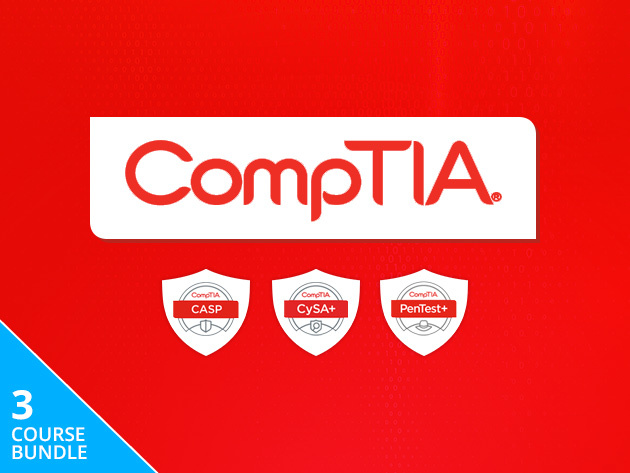 The CompTIA Cyber Security Expert Bundle normally retails for $297, but you can get it on sale today for only $59, saving 80% off the usual price.